Android 5.0 Lollipop has rolled out to unlocked HTC One M8 devices and so far users are more than happy with what HTC did with the software. The update started rolling out to unlocked, GPe and international versions of the flagship on the 13th of January. Since then, carriers and HTC have been silent about how far along they are with finishing Android 5.0 Lollipop for carrier HTC One M8 editions. As users are congratulating the company for releasing a stable build of the software that doesn’t come with as many bugs as it did on the Moto G, Moto X and Nexus devices, the GPe HTC One M8 is discontinued from the Google Play Store. Indeed, sad news for those of us who haven’t had the chance to get a GPe HTC One M8 device. It seems that the Google Play Edition program is at its end and rumor has it the line will no longer receive support from OEMs or Google. Nonetheless, there is always a bright side to things, we’re just not seeing it yet. In any case, at least the HTC One M8 Android 5.0 Lollipop update seems to be working perfectly on unlocked devices, with very few issues being reported. The carrier version of the HTC One M8 should also be receiving Android Lollipop shortly, as HTC is supposedly adding the finishing touches to the build and sending it out to carriers for approval. The Taiwanese company was among the speediest companies to roll out the brand new Google software update, which brought it a bit of extra attention and hype over the past few weeks. Carrier versions of phones take longer to receive OTAs because the carrier itself needs to receive a tweaked version of the build, after which it needs to add its own bloatware and approve the final build for all versions of devices they carry. Judging by carrier and OEM history, the HTC One M8 should receive Android 5.0 Lollipop in 6 weeks tops. Now that doesn’t mean that the rollout will begin six weeks from now, rather it means that within six weeks, various carriers like AT&T, T-Mobile and Spring will begin the rollout. 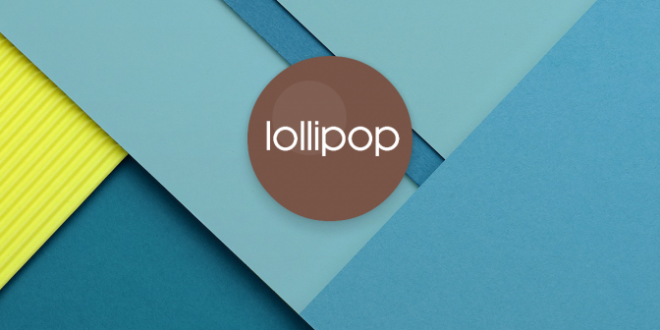 If you have an unlocked HTC One M8, you should have received the Android 5.0 Lollipop by now. If you haven’t, try and check for the update manually and if that doesn’t work, you just have to be patient or get a custom ROM from XDA Developers.